Brand New; Target Sports 4X32 Scope & Fiber Optic Combo. 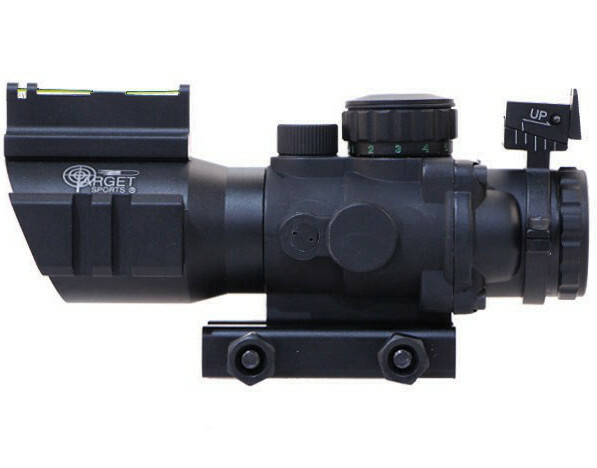 4x32 Dual Illuminated Scope with Green Fiber Optic Sight. Aircraft Grade Aluminum Body, Nitrogen Charged. Multi-Coated Lens Provide Anti-Fog Capability and Improved Light Transmission. 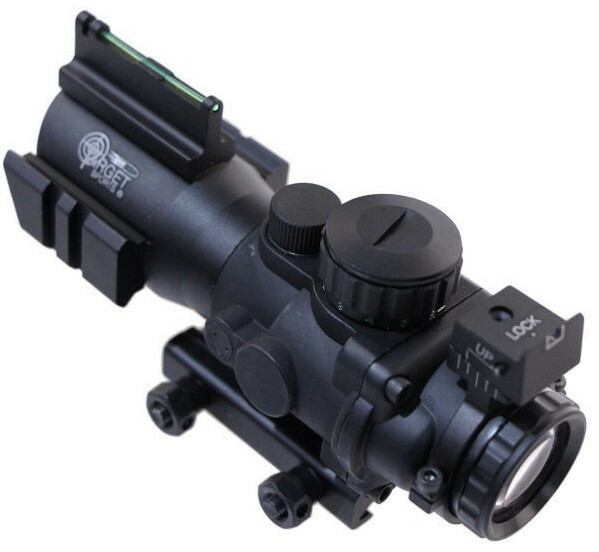 Dual Illuminated Red and Green Mil-Dot Reticles, Green Fiber Optic Back Up Sight. Style used in Vietnam. 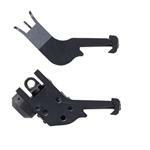 Various rifle mounts available. 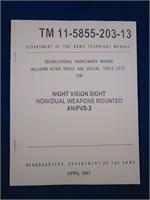 Used on 50-cal & tri-pods.